Chocolate and pecan brownies with dark chocolate, butter (unsalted), pecan nuts, eggs, unrefined light muscovado sugar, vanilla pods, plain white flour. 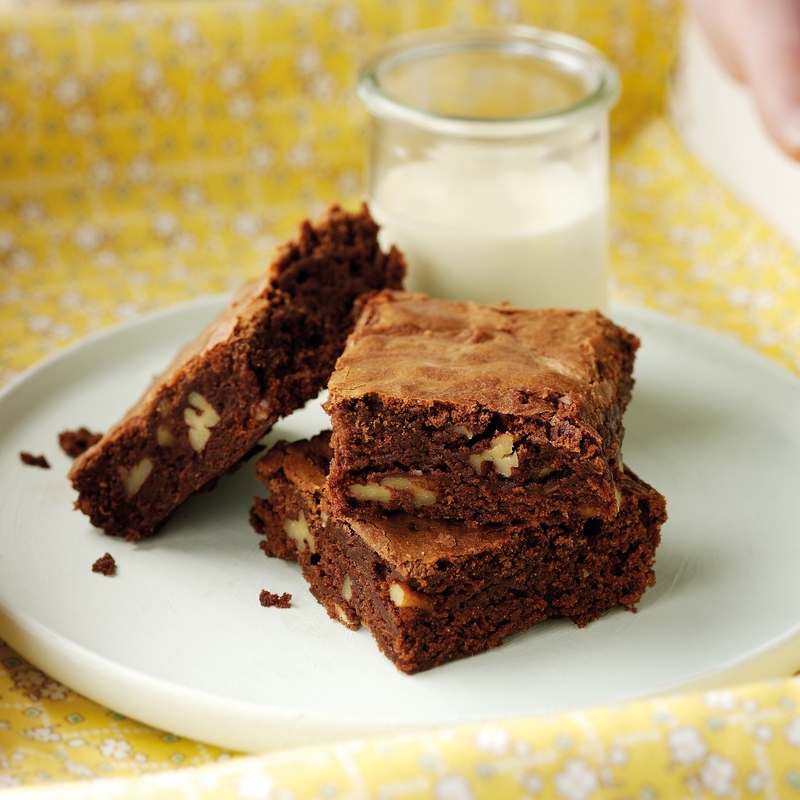 To make this chocolate and pecan brownies for 4 persons you will need 15 mins for preparation and 25 mins for baking. line a 23 x 33 cm baking tray. of simmering water. Stir gently until the chocolate has melted. Remove from the heat and add the pecans. smooth, then fold in the flour. Fold in the melted chocolate, taking care not to over-mix, and pour into the prepared tin. Step 4Bake in the oven for twenty to twenty five minutes. Leave to cool slightly before cutting in squares and serving.